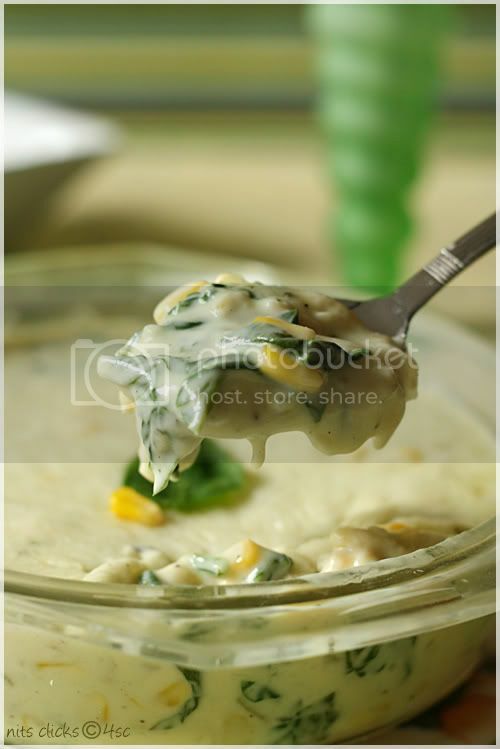 Cheesy and creamy Au Gratin is one of my favorite dishes when it comes to multi-cuisine food. Au Gratin has its origin in French cuisine and is usually prepared in a shallow dish. 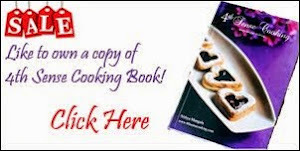 It is baked or cooked under an over head grill or broiler to form a golden crust on top and is traditionally served in its baking dish. Chop onion and garlic finely. Steam the corn and remove kernels. Heat olive oil in a pan, add the chopped onion and garlic and sauté till they turn light brown. 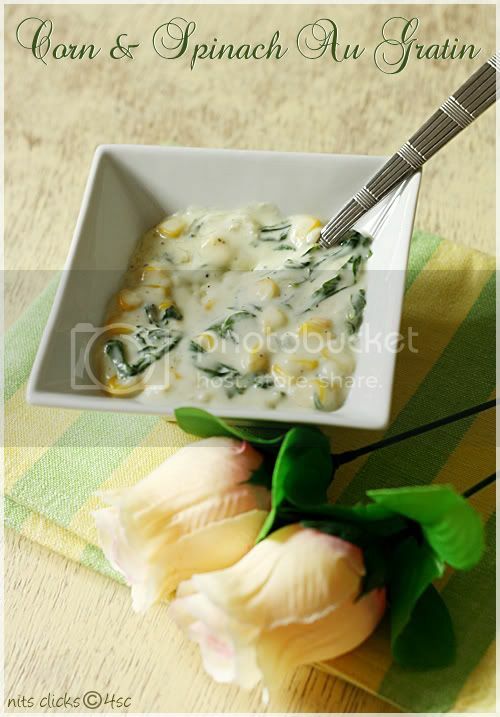 Add the chopped spinach and corn and cook on medium flame for 4 to 5 minutes. Add salt, pepper and oregano and mix well. Now add the white sauce and cook for 5 minutes. Transfer this to a baking dish and sprinkle the rest of the grated cheese on top and grill in an oven till the cheese melts down. You can use mashed potato instead of corn. You can grill the Au Gratin a little more until the cheese slightly browns on top. It gives a rustic flavor. Gosh so cheesy, creamy and loaded with goodness. So cheesy and yummy! Loved the clicks. 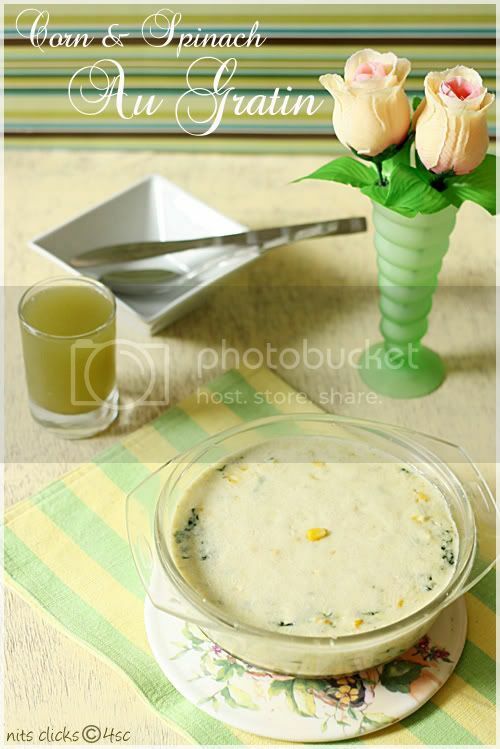 amazing recipe.. looks yummy.. nice clicks..
wow, what a great recipe and presentation !!! Lovely presentation. yummy recipe too. Loaded with cheesy goodness...whatever that means!!! Im just salivating seeing this that im talking crazy!!! Wow what a great recipe. Amazing pictures. Cheesy and delicious Au Gratin. Love that cheese crust ~ mouthwatering n scrummy it looks! that looks so yum, very creamy n cheesy.. This is reminding me of a sandwich I used to eat a lot in Bangalore .. spinach and corn sandwich. You should try it . The filling looks very similar to yours. God! I am so badly craving for it now. Mouthwatering. Looks so creamy and delicious. Beautiful pics. 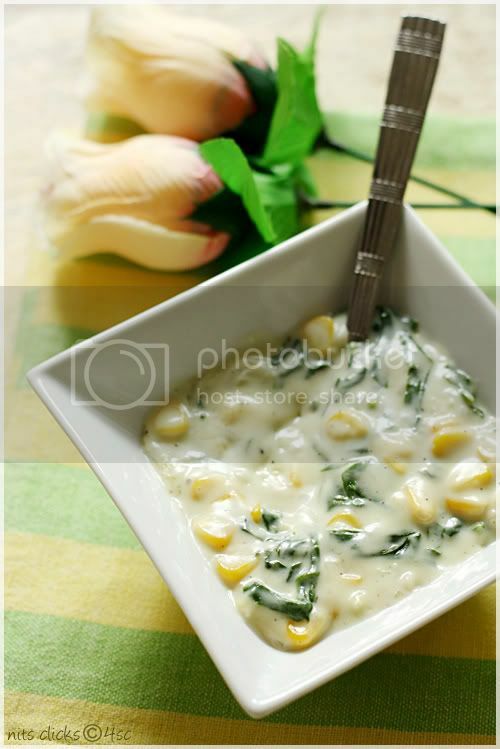 Luvly craemy Au Gratin with Corn and Spinach.Wish to learn from U.Lu all ur recipes and following U.
Luvly creamy,cheesy Au Gratin with Corn and Spinach.Wish to learn from U.Lu all ur recipes and following U.
au gratin is just perfect & inviting- hi gal I just found out U r going to ba a happy bride shortly ! MY wishes n cheers for a happy married life- wishing u many more years of wedded together bliss ! 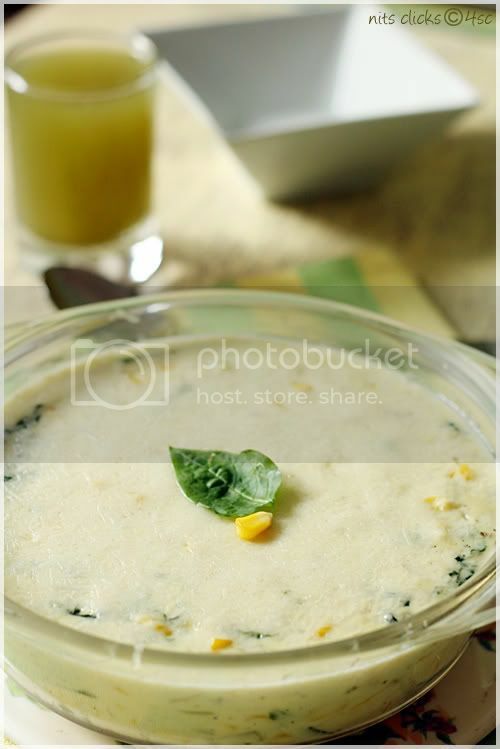 Yumm yumm, soo cheesy and makes me hungry..
cant wait to try your tempting dish now..
Lovely presentation and amazing clicks..
Creamy delicious au gratin, love to try them. Sounds very yummy , gonna try this soon .Fantastic presantation keep it up . Five Lakh Hits - A Surprise Celebration!